Last month, 25-year-old Arkebia Albury of Georgia was arrested after she drove over her 4-year-old son, Jayden Albury, after shoplifting at a mall. Jayden was taken to the hospital with serious injuries. His mother was charged with several charges including cruelty to children and leaving the scene of an accident with injuries. At a bond hearing this morning, prosecutors told the court the boy suffers from brain swelling and his family may remove him from life support on Friday. He said he is not sure the boy would survive that. During the hearing, Arkebia's lawyer showed the court a plaque that named her "Parent of the Year." That award was presented in April by the Macon-Bibb County Equal Opportunity Council. 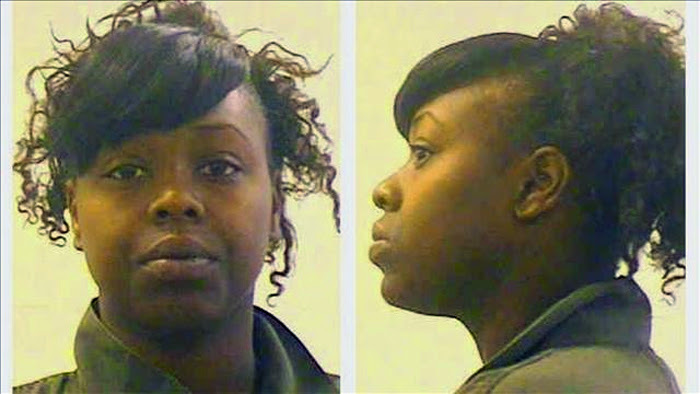 Aside from the fact that Arkebia may have essentially killed her son, bond was denied. Plus, before the accident, she failed to show up for court for several previous court appearances on unrelated charges.